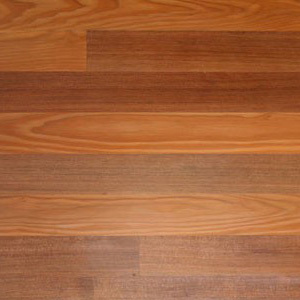 Reclaimed Redwood flooring has a beautiful red color with very few color variations. Redwood provides an exotic yet conservative look to any floor. Texture of the redwood ranges from silky to slightly coarse. The redwood tree is the largest tree in the world. Because of its size and beautiful wood it was over logged and now the remaining redwood forests are highly protected and it is nearly impossible to attain fresh redwood lumber. Only through the reclamation efforts of companies like ours are we able to provide this beautiful reclaimed wood for your flooring needs.